Successful control programs included rigorous footbath management, excellent foot and leg hygiene, tight biosecurity, and regular hoof trimming. 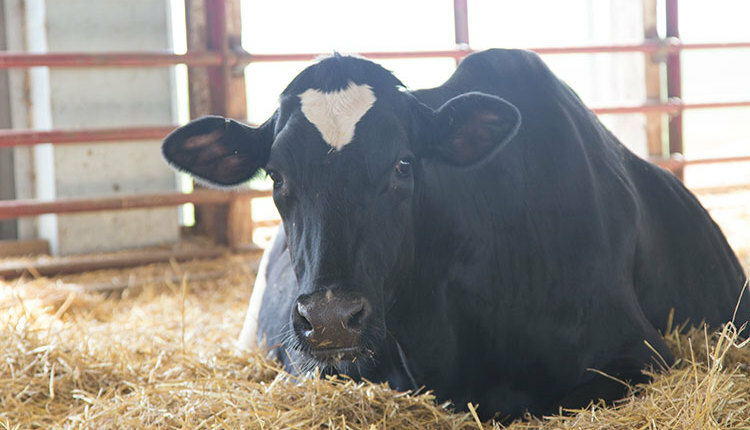 Lameness can be a major health concern on many dairy farms. 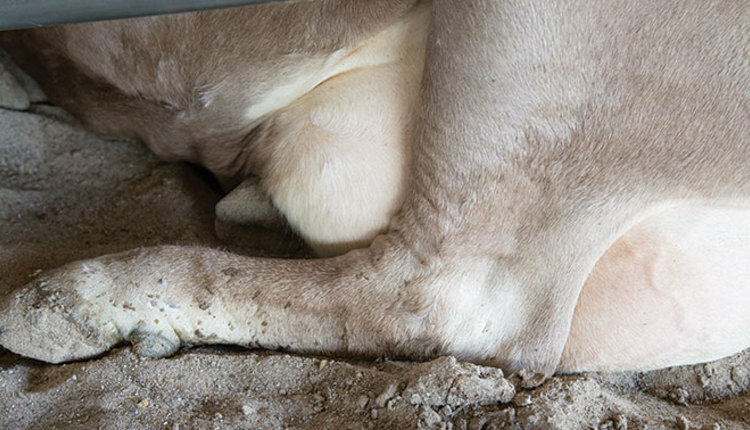 Not only is this an animal welfare issue, but various reports indicate that each case of lameness can cost $90 to $300. One cause of lameness is digital dermatitis (DD), more commonly known as hairy heel warts. This infectious disease is caused by bacteria and most commonly affects the rear feet. Once a cow is infected with DD, it cannot be cured. 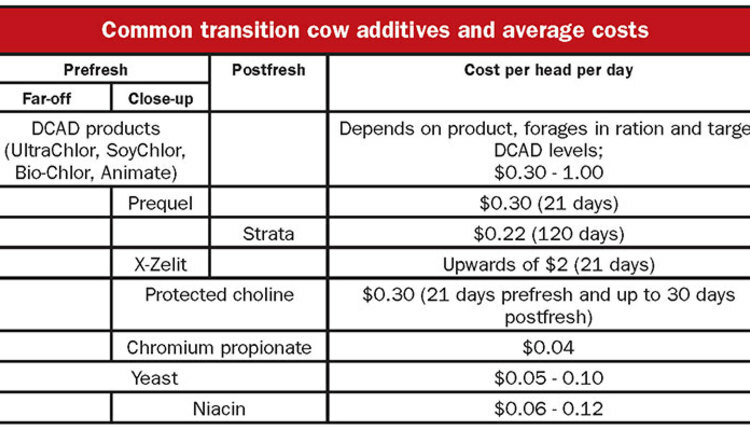 A field study was conducted by University of Wisconsin-Extension (UW-Extension) agriculture agents to determine the prevalence of various stages of DD (see table) on eastern Wisconsin dairy operations. They found that 18.9 percent of the 11,817 cows analyzed had M2 (acute, active) or M4 (chronic, nonactive) lesions. 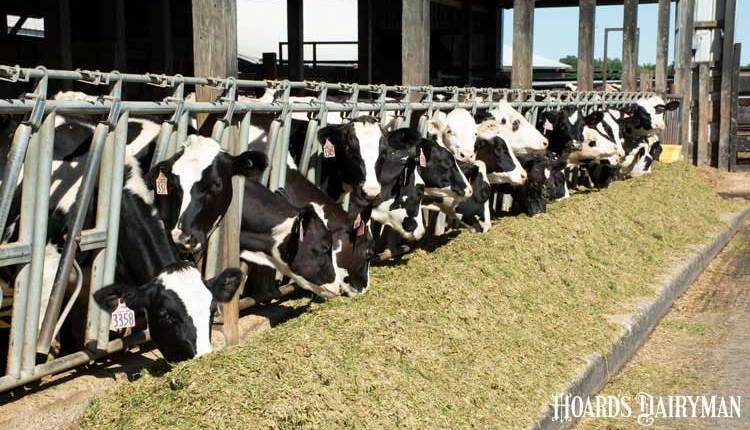 The 45 dairy operations were divided into three categories: small (tie stall operation); medium (freestall operation up to 700 cows); or large (freestall operation with 700 cows or more). While almost every herd had at least some cows with DD, 17.8 percent of farms had a low (5 percent or less) prevalence. Herds with a low prevalence of DD had similar hoof care practices. The eight low-prevalence herds consisted of four large operations, one medium, and three small. There were three tie stall operations (ranging from 34 to 95 cows, with an average of 66 cows per operation) and five freestall operations (ranging from 350 to 6,100 cows, averaging 1,819 cows per operation). Of the herds with a low (less than 5 percent) prevalence of DD within the groups of cows scored, all recorded hoof health issues on a regular basis and treated DD with a foot wrap and an antibiotic. All of these operations utilized a professional trimmer, with one also using an in-house trained trimmer. Nearly all, 86 percent, indicated they trimmed feet on a maintenance schedule, with 71 percent of the operations trimming at least three times per month. They found that 71 percent of the low prevalence operations used a footbath, and of those, all used a footbath at least three times per week. 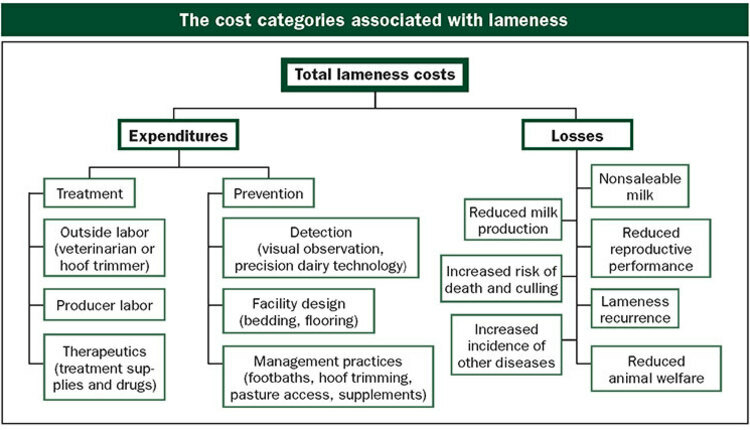 Forty-three percent of the operations conducted systematic lameness scoring. Fifteen of the herds were housed in tie stall barns while 30 operations had freestall barns. There were no significant differences in prevalence of DD among groups of cows scored with regard to barn type. While housing type didn’t seem to make a difference, other factors did. Concentration of footbath solution, trimming frequency, and type of treatment had a significant (P greater than 0.1) impact on the types and prevalence of DD lesions. Even though there was no significant difference based on the number of times a footbath was used, survey results indicated the higher the frequency, the higher percentage of M0 lesions and the lower the percentage of active (M2) and inactive, chronic (M4) lesions. 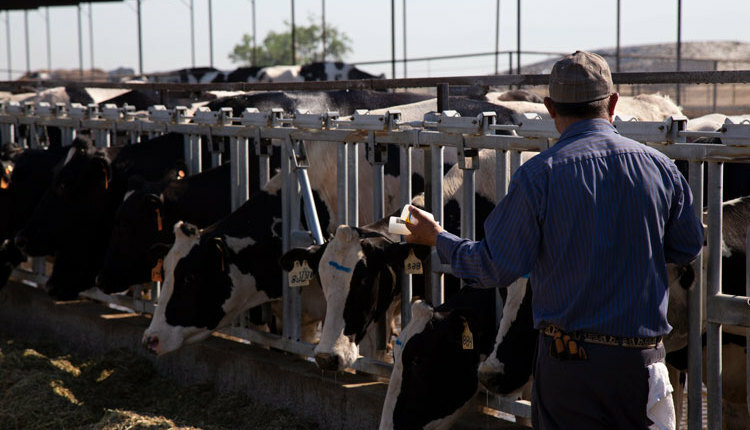 Operations that did not use a footbath had a lower prevalence of noninfected M0 (71.5 percent) cows as compared to operations that utilized a footbath as part of their DD control strategy. Consequently, these operations also had a higher prevalence of active M2 and nonactive M4 lesions. 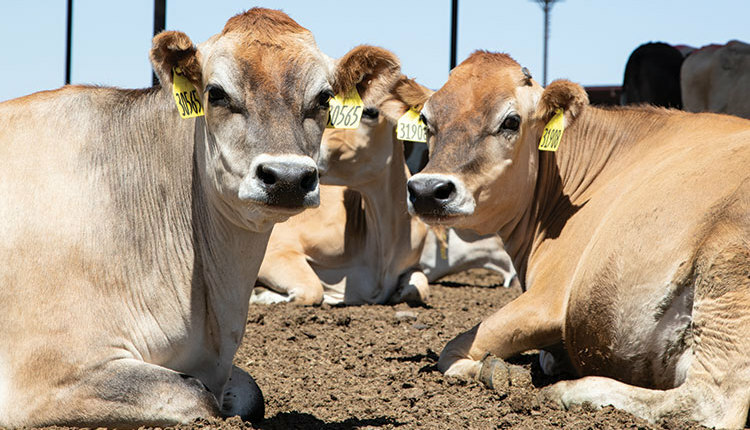 Farms that used a footbath four to seven times per week had a lower prevalence of M2 lesions (1.7 percent) in groups of cows scored as compared to those that did not utilize a footbath (6.9 percent). 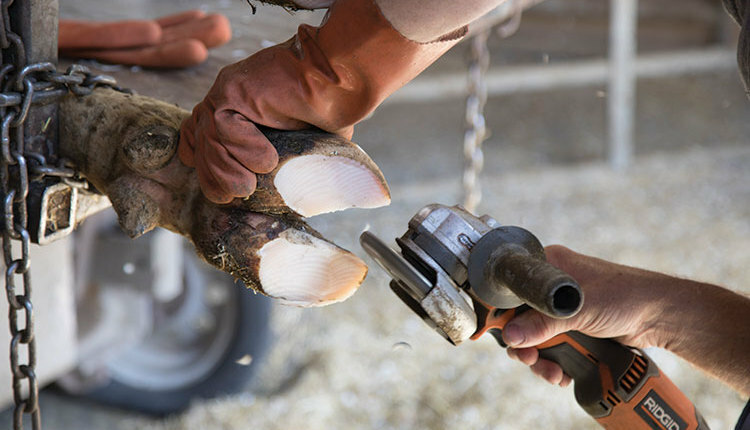 For trimming frequency, operations that had a weekly or biweekly schedule were grouped together for statistical analysis, as were operations with a monthly and bimonthly, and an annual and biannual hoof trimming schedule. Results indicated weekly or biweekly trimming schedules had a higher prevalence of noninfected feet (82 percent) as compared to bimonthly (70.1 percent), quarterly (72.9 percent), or biannual (76.1 percent) trimming schedules. Biweekly trimming schedules had a lower prevalence of both M2 and M4 lesions as compared to bimonthly trimming. Herds reported using antibiotic treatment with a wrap, antibiotic treatment without a wrap, and topical spray to treat DD. Thirty-two operations indicated they used a foot wrap as part of their treatment plan. 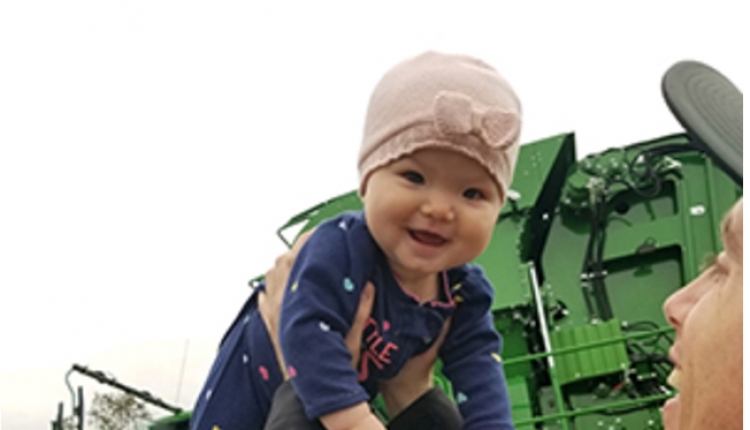 Operations that utilized a foot wrap had a higher prevalence of no lesions (78.5 percent) as compared to those operations that did not use a foot wrap. When farms used a foot wrap to treat DD, groups of cows had a significantly higher prevalence of no lesions as compared to treatment without a wrap (78.5 percent as compared to 65 percent, respectively). Those operations also had lower prevalence of active M2 lesions (3.1 percent) as compared to operations that did not use foot wrap. Operations that treated with a foot wrap had a lower prevalence of chronic, M4 lesions. Farms that sprayed antibiotics on lesions had a lower prevalence of M4 lesions as compared to those dairies that treated without a wrap. To view and download the entire summary of the field study and a series of fact sheets on hoof health, please click the link. Change footbaths after 150 to 300 cows have passed through. Maintain the footbath solution at 3.5 to 5.5 pH. That pH level will help maintain healthy skin condition and improve treatment results. Use a copper sulfate (CuS04) footbath concentration of 2 to 5 percent. Offer maintenance footbaths at least three times per week. In the event of an outbreak, frequency should be four to five times per week. Clean and apply 2 grams oxytetracycline powder to the affected area when treating an active DD lesion. [Please note: The use of oxytetracycline powder for treatment of DD is considered extra-labeled prescription drug-use and must be used in this manner through a valid veterinary-client-patient-relationship (VCPR)]. The purpose of a foot wrap is to ensure the treated lesion is dry and has contact with the antibiotic powder for a minimum of 30 minutes. Remove wraps within 24 hours, if they have not fallen off, to reduce the risk of injury and to not perpetuate the foot disease.